Any more, I tend to think the issue with those depicted in the right frame is that they actually know ***precisely*** what they are doing – which is enslavement. 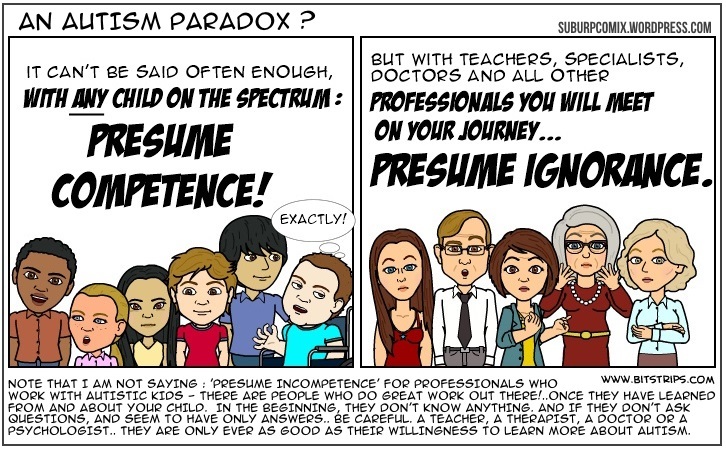 Dennis, I know that many adult or young adult Autistics have been submitted to cruel intervention and “training” methods as children by ‘specialists’ and I welcome and value their input and hope your warnings will be heard so that these forms of damaging therapies disappear in favour of more listening, adapting and encouraging approaches. Awesome! You have great comics! !